As it was plaide by the right honourable the Lord high Admirall his Seruants. 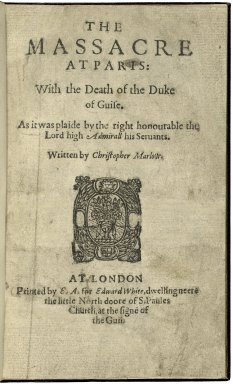 AT LONDON Printed by E. A. for Edward White, dwelling neere the little North doore of S. Paules Church, at the signe of the Gun. Title page imaged from Folger call number: STC 17423. Image is not from the transcribed copy. Wiggins suggests a best-guess creation date of 1593; range 1589–93.